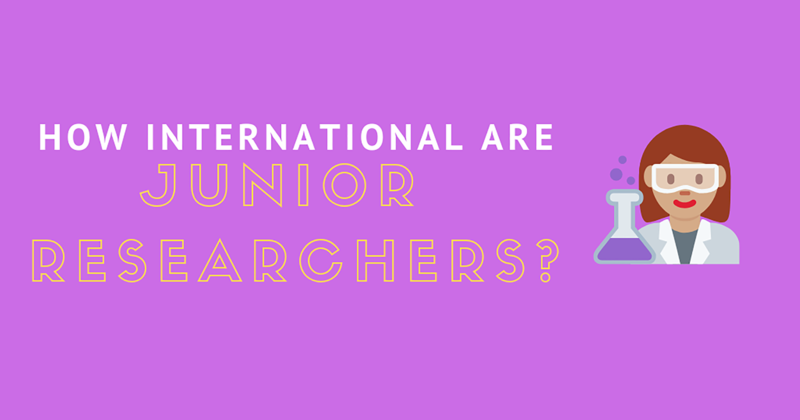 Infographic: How International Are Junior Researchers? International travel is a fundamental part of research, but our recent global survey of researchers demonstrates that junior researchers are travelling considerably less than their senior colleagues. We want to know why. Are junior researchers choosing to travel less, or is there a lack of opportunities and support for those who want to visit and work abroad? Have you been affected by this issue? We want to hear from you on why you think junior researchers are travelling less. Take part in our 1-minute survey. Then join the conversation on Twitter, Facebook or by email. Together Science Can is a global campaign to celebrate and protect scientific collaboration. Join the campaign and spread the word.